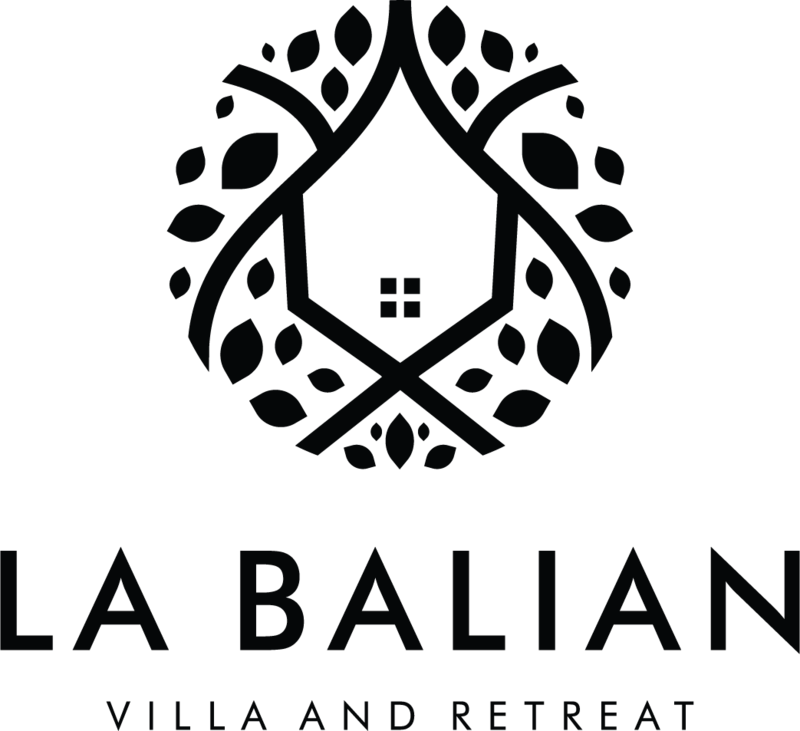 La Balian Villa and Retreat is a unique residence which offers 8 ensuite rooms which are perfect for individuals, couples or groups. 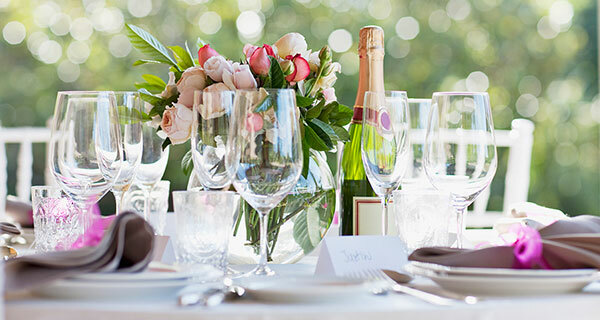 It is ideal for large families, groups of friends, yoga groups, weddings or that special function. There are many varied activities available during your stay. From cooking classes, trekking and surfing there's something for every taste to ensure your experience is just right for you. La Balian Villa and Retreat has a full team of attentive staff to provide you with the perfect holiday experience. We have a number of customisable options available to make your stay the best it can be. The Ultimate peaceful retreat for a group of friends, or just to relax. Situated amongst beautiful rice fields off the beaten track, this is the ultimate peaceful retreat get away! 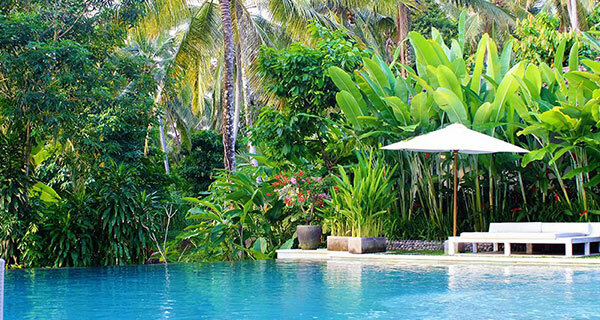 With a huge pool with infinity edge overlooking the rice fields you feel you are swimming through them. Fantastic friendly staff cater for everything you need, yet are hardly seen, but the delicious food miraculously appears out of no where. Outdoor bathrooms in each room add to the feeling of being part of the tranquil surroundings, if you are looking for a peaceful relaxing place to stay – this is it!! Pickup from airport to La Balian provided & return, prepare yourself for the tranquility you have been looking for in Bali. Secluded villa in the rice fields, down a narrow dirt road. Lovely staff. We arranged a bbq lunch for 28 people at the villa and the food was very reasonable and delicious! The staff even made table settings for us. Polly was very helpful in helping me organise everything. I would recommend this villa if you want to relax with a close group, away from it all. Thanks Polly, I really appreciate all your advice. The food in the villa was excellent. We almost gave up on the opportunity to visit this beautiful place due to Mount Agung (volcano) activity. We had 10 days of stress before arriving not knowing whether to risk the trip or not. We are two families who have travelled from Switzerland with children aged between 4 and 6 years old. I cried when we arrived at the villa….tears of joy that we had not cancelled our trip and because the welcome was so friendly and the villa beyond any of our expectations. We are almost coming to the end of our 12 night stay and have had an amazing time. The children and us have loved playing in the pool. We took advantage of the evening meals cooked by Vicki and the staff at the villa and have enjoyed every single one. There are also plenty of child-friendly options. We used two drivers, Komang and Gede, for a few day trips that we took and they were very friendly and offered to take us to other places en route. We did a one night stay in Ubud which was a great experience but we were so happy to come “home” afterwards to the peace and quiet of the villa. It is in a remote setting in the middle of rice fields so don’t expect a quick walk to the local shop but it is so nice to just get away from everything. We have taken advantage of the cooking lessons offered by Vicki and tonight we have a dance show from the local children. I will definitely be recommending this place to friends and family. We booked through Airbnb and Polly, the host, could not have been more easy to communicate with, even during our stay when we had some questions she responded very quickly. We still have 2.5 days left to savour but I am not looking forward to the departure. All I can say is thank you. This is a wonderful place for relaxing and exploring the island’s nature. The villa is located overlooking the rice paddies and surrounded by wild jungle. Complete silence and harmony with nature. Villa is suitable for family vacation, and that a big company. We lived there now of 14 people and had plenty of space, both during the day by the pool and in the evenings in the lobby. The villa has all as descriptions and photos. You can rent bikes, have a massage, arrange lunch / dinner. 2 km is a beach with black sand and great views. We recommend to visit this place, you will not regret. The most romantic and beautiful lush setting close to the beach and cute village. Truly 5 star resort with all the mod cons and lovely staff who really know how to look after you. I’ll be back. Thank you. We are a family of 14 adults and 4 children who had 14 wonderful days in the villa. Photos 100% corresponds to reality, lovely rooms where everything functional and in good condition. The staff is absolutely wonderful, very concerning and welcoming. Polly is super quick to respond to communications and proactive terms. External facilities and services. We ate almost all our meals in the house where both raw materials and food was impeccable Overall a great stay, as highly recommended.